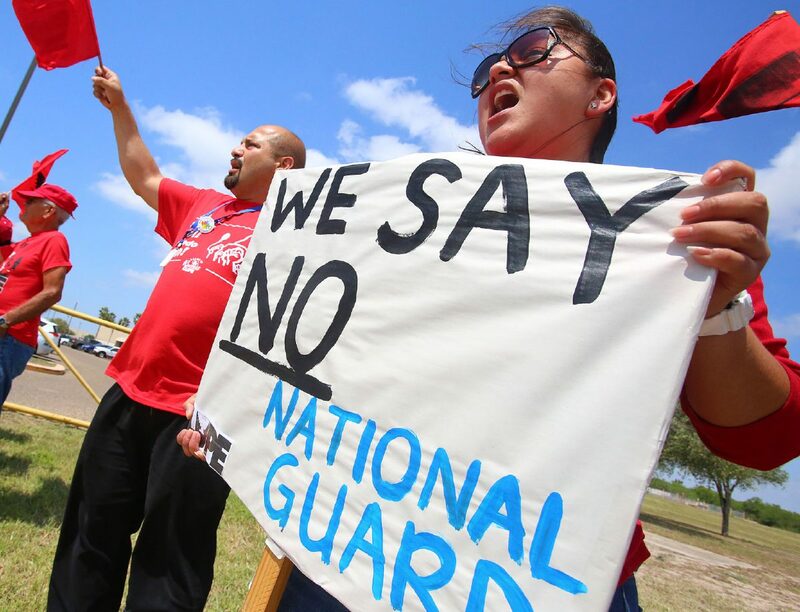 The National Guard being sent to the Mexico border by Donald Trump to enforce drug trafficking prevention is an insult to our fellow Border Patrol agents. It is unnecessary and a huge amount of force and expense. The reason I’m against this act is two-fold: First, Border Patrol agents are the ones who prevent drug trafficking and illegal immigration. Their job is very specific and they are under paid. 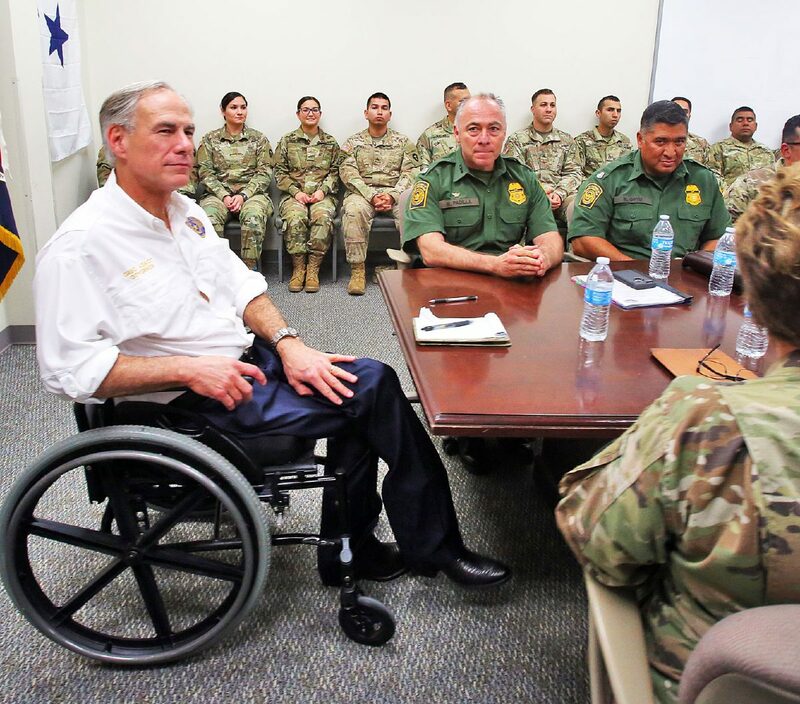 More money should be put in the Border Patrol budget to hire more agents, instead of sending the National Guard here, when they could be used elsewhere. President Trump has stressed that the National Guard is to enforce the illegal trafficking of drugs, but I believe he really wants to them to prevent illegal immigrants from coming. How will they distinguish civilians from criminals? Perhaps as a larger force, they will be able to detain immigrants and inspect them and help hold them for the Border Patrol agents to come take them away. Perhaps this will lower illegal crossings. But this is not what we’re told they will do and implying one thing and using them for another is wrong. It was refreshing to read Tuesday’s letter by a bishop in The Monitor, “Democrats slam door on Catholics.” Although many of us in the Rio Grande Valley feel the same, no one talks about it. We, Catholics, unfortunately are to blame for not demanding and supporting pro-life candidates. The Democratic party of our parents and grandparents has changed and we refuse to admonish Catholic politicians for toeing the line for the party, which clearly supports abortion. The issue of abortion has often been compared to the plight of the immigrant in the Rio Grande Valley. I don’t understand how we can make a comparison, the unborn is killed before making any decisions that can affect his or her life. I invite all Catholics to “the sidewalk” on the corner of Houston and Main Street in McAllen. There you can witness for yourself the heart wrenching reality of an abortion clinic. You will witness faithful Catholics praying the rosary for a change in the hearts of the young women going in, and for the souls of the babies that will be going to heaven. After reading several letters on “gun rights” recently, I’d like to respond with my own opinion on believing how the Second Amendment should be used properly and left alone. Many people often blame killings on a lack of enforcement of gun laws, but I believe that making it tougher on how one gets a gun will not stop someone from committing a crime. People have blamed guns for horrific massacres that have happened in the past few years, like school shootings. However people are not realizing the big picture on how guns are being used by an individual who is behind the trigger. Some people believe stricter background checks are in order before purchases can be made at gun shops. Many people who believe in the Second Amendment believe that guns are not the problem, but people are. They believe in the Second Amendment because they have the right to bear arms on their own property and to defend themselves. They also agree how the person behind the trigger is the one causing the damage because guns do not kill people. People kill people. Politics also play a role on gun rights. Politicians do not put into place more background checks and laws, I believe, because the NRA is a huge company that contributes to many politicians’ campaigns. My opinion on gun rights and gun control is very contradicting because not every one is against guns.